Omidyar Network, perhaps the most tuned in to impact investing of all the family investment groups, has produced a guide on how to construct an investment team in the sector. Entitled “Building an Impact Investment Team”, the 29-page guide presents a four-stage guide to building a team. It also provides case studies from other family groups that are big in impact investing. Set up by Pam and Pierre Omidyar – Pierre was the founder of eBay and has a fortune north of $10 billion, according to Forbes – Omidyar Network has made literally 100s of investments and given grants to businesses with an impact investment focus. And it has created a big team of specialists to do so, employing around 140 people in its eight offices around the world, which includes its headquarters in Silicon Valley. Altogether, Omidyar Network, which was established in 2004, says it has committed more than $1.3 billion to impact, split roughly evenly between for-profit and nonprofit organizations. So Omidyar Network knows quite a bit about impact investing and feels it can pass on its experiences to help families navigate the often confusing world of impact investing. “… we hear time and again that many seeking to enter impact investing for the first time are overwhelmed by the diversity of the market and simply don’t know where to start,” Omidyar Network says in a statement accompanying the release of the guide. Omidyar Network says that probably the most important step in the guide is for families to firslty get clear on their shared goals and motivations. “With this as a guiding star, you can begin to explore operational needs and constraints to realizing those goals,” says the statement. 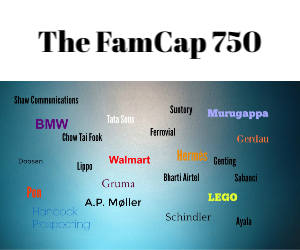 The case studies are from seven families and groups pursuing various impact investment strategies – the Bill and Melinda Gates Foundation; Ceniarth, the family office of Diane Isenberg; Tara Health Foundation, set up by Ruth Shaber; The Fink Family Foundation, set up by Jesse and Betsy Fink; KL Felicitas Foundation, co-founded by Lisa Kleissner; the Jessie Smith Noyes Foundation; and the Salesforce Impact Fund, set up by Suzanne DiBianca, in partnership with Marc Benioff, the founder of Salesforce.